The Asbestos at Work Poster raises awareness of the issues surrounding asbestos and offer step-by-step guidance on managing asbestos to reduce the risk of health issues and fatalities. 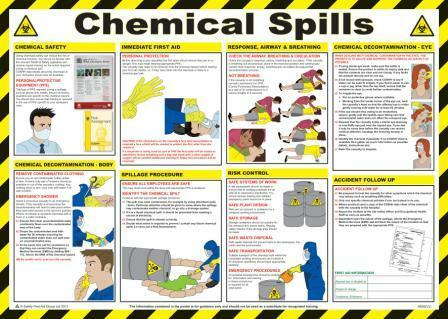 This Chemical Spills Poster provides first aid information on how to best treat someone who has been exposed to a chemical spill in the workplace. 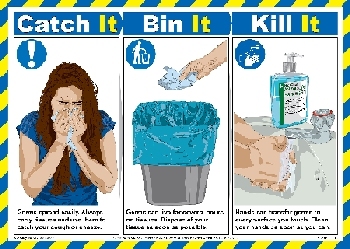 This Chemical Spill Safety Poster takes take into account the new CPR procedures. This COSHH (Control of Substances Hazardous to Health) Poster provides comprehensive and up-to-date guidelines on how to implement the COSHH rules effectively to ensure safety within a workplace. Our Electric Shock Poster provides first aid information on what to do in the event of someone being electrocuted in the workplace. 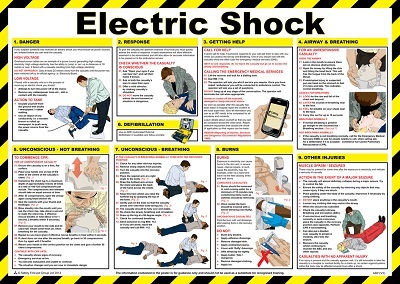 This Electric Shock Poster includes the new CPR procedures. 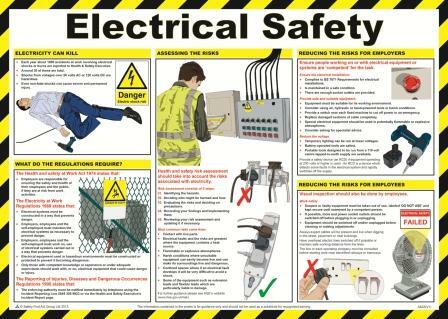 This Electrical Safety Poster highlights basic information on electrical safety and is aimed at increasing awareness of potential hazards to reduce the risk of injuries in the workplace. Our Fire Risk Assessment Poster covers the principles of Fire Risk Assessments in the workplace and the responsibilities of employers and employees for the fire risk assessment and safe procedures. 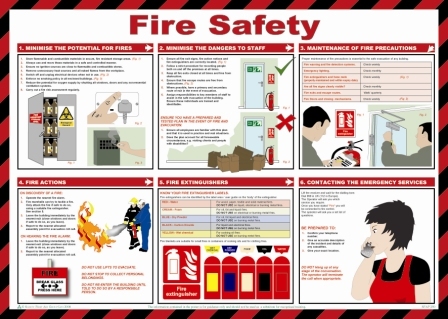 This laminated, A2 sized Fire Safety Poster helps employers comply with their duty to manage the risks from fire and provide information about fire safety arrangements to their employees and others. This Fire Safety Poster clearly communicates fire safety procedures to reduce the risk of fatality or injury from a fire in the workplace. 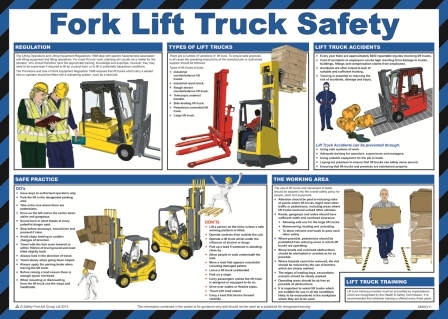 Our Fork Lift Truck Safety Poster highlights basic information on fork lift truck safety procedures and is aimed at increasing awareness of any potential hazards, thus reducing the risk of an injury in the workplace. 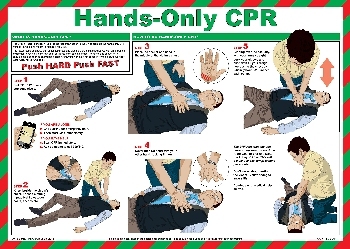 Our Hands-Only CPR Poster provides basic techniques for Hands-Only CPR so that workers have a clear reminder of how to resuscitate someone should there be an emergency in the workplace. Hands-Only CPR is recommended & promoted by the British Heart Foundation as being the most effective way for an untrained bystander to save a life. Our Health and Safety at Work Guide Poster aims to help you comply with the Health and Safety at Work etc. Act 1974 which entitles employers and employees to work within an environment that does not put their health or safety at risk. 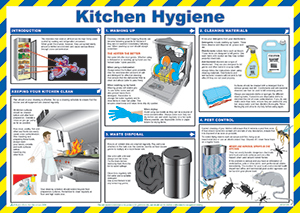 The Health and Safety Law Poster is an A3 (297 x 420 mm) laminated poster that provides employees with information on safety legislation and lists sources of further advice. 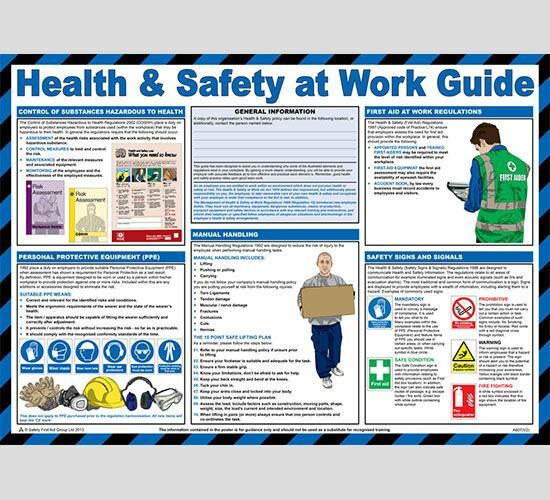 Every workplace is required to display a copy of the Health and Safety at Work (HSE) Law Poster and failure to do so, or to provide details to employees, is an offence under the Health and Safety at Work etc. Act 1974. 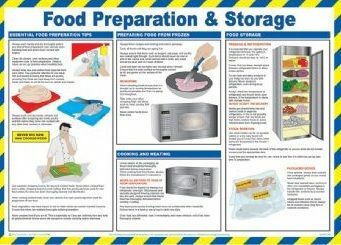 This First Aid Health and Safety poster details basic rules for first aid, covering burns, bleeding and emergency resuscitation in case of an accident in the workplace. This Health and Safety for Computer Operators Poster will help you assess and reduce the risks associated with the use of computers and visual display equipment. 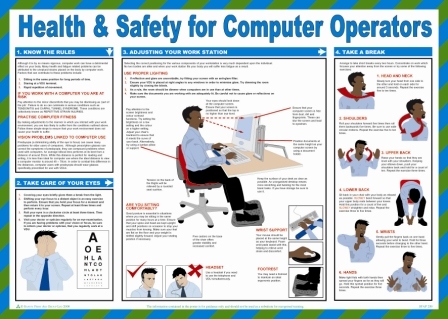 This Health & Safety For Computer Operators Poster explains the risk factors involved when using a workstation on a daily basis such as those posed to posture and eyesight & much more. 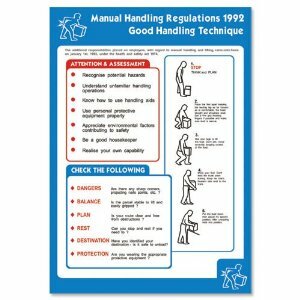 Our Manual Handling Regulations 1992 Poster covers the principles of good manual handling techniques. 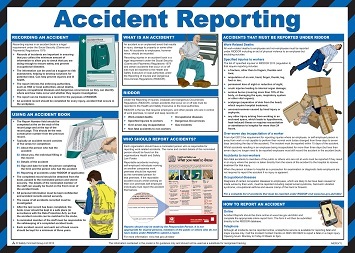 The laminated 420mm x 595mm poster covers the principles of good manual handling techniques. Our Noise at Work Health and Safety Poster helps organisations comply with requirements regarding the protection of workers from excessive noise in the workplace. 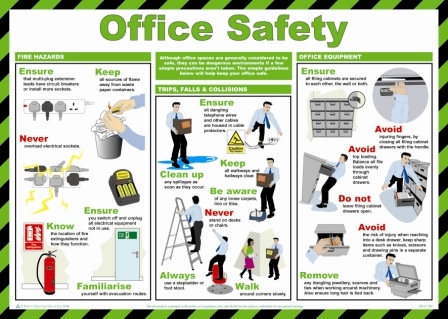 Our Office Health and Safety poster highlights important information regarding office safety and is aimed at increasing awareness of potential hazards to reduce the risk of injury within the workplace. 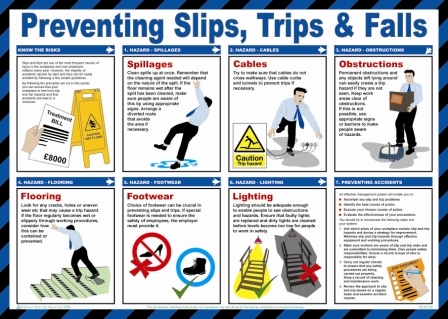 This Preventing Slips, Trips and Falls Poster provides some basic information on how you can reduce the risk of slips, trips and falls around the workplace. Our Provision and Use of Work Equipment Regulations Poster provides details on employer and employee responsibilities for the management and use of work equipment. 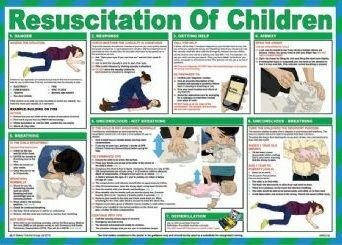 Our Resuscitation of Children Poster can help to raise safety awareness in case of an emergency involving a young child. Every employer is required to assess and reduce the risks from manual handling and to provide information about safe manual handling techniques to his employees. This Safe Manual Handling poster helps organisations to comply with these requirements and to reduce the risks from manual handling. 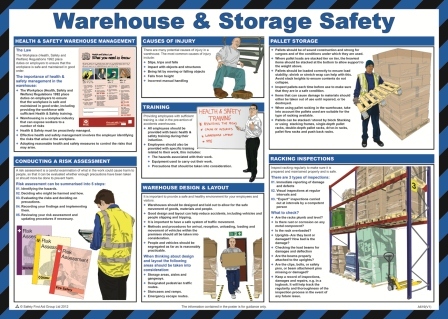 This Warehouse and Storage Safety Poster highlights basic information regarding warehouse and storage safety and is aimed at increasing awareness of any potential hazards, thus reducing the risk of injury. Every employer is required to assess and reduce the risks from Working at Height and to provide information about working safely at height to employees. This Work at Height Poster helps organisations comply with the Working at Height Regulations 2005 which aims to prevent death and injury caused by a fall from height. 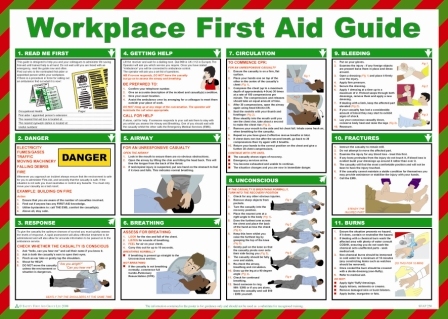 This Workplace First Aid Guide Poster provides general first aid information on what to do in the event of various injuries in a workplace. Some of the most common workplace injuries and treatment covered on the Workplace First Aid Guide Poster include: Recovery Position, CPR, Bleeding, Fractures and Burns.